It was all too obvious that his son would not survive infancy. Sylthis was frail and sickly, and would need constant attendance by a skillful healer-priest even if he survived his current fever – and he was a magician, not a healer. He needed a new, undamaged, body – and there was a way to provide one that did lie within his fields of expertise. The transmigration of souls would be black magic in any case – but he could mitigate his offense against the gods. He would not steal another child’s life to save his son’s, and he would not give him the body of some domesticated beast, but the foresters often slew or captured dangerous wild animals. He could afford to pay well – and a forester brought him an orphaned leopard cub soon enough. Sylthis’s childhood was – not unexpectedly – peculiar. His father sheltered his transformed son from the world, slowed his aging, and taught him to speak (even if that did involve a tiny bit of shapeshifting-training to adjust his larynx a bit), but he didn’t get to play much with other children. Who wanted to risk having their six-year-old getting into a childish squabble with a half-grown leopard, even if it did talk? Sylthis was twelve – and adult in body, if not yet in mind – when his father died, unrecoverably, stopping a rampaging horror some idiot adventurer had unleashed from a sealed crypt deep beneath the mountains. He swore that he’d kill the idiots responsible for killing the one person who really accepted him as he was. It took him a year and a half to track them down and do so. Fortunately, they were just local fools, not vastly powerful adventurers – and he had some help along the way. It wasn’t long after he’d completed his vengeance-quest that he was approached by the Obsidian Order. He accepted without too much internal debate – and was glad to get some advanced training. His father’s arcane spellcasting had proven beyond his abilities, but Witchcraft and Siddhisyoga suited him just fine. Since then, Sylthis has undertaken several missions for the Obsidian Order – with considerable success. 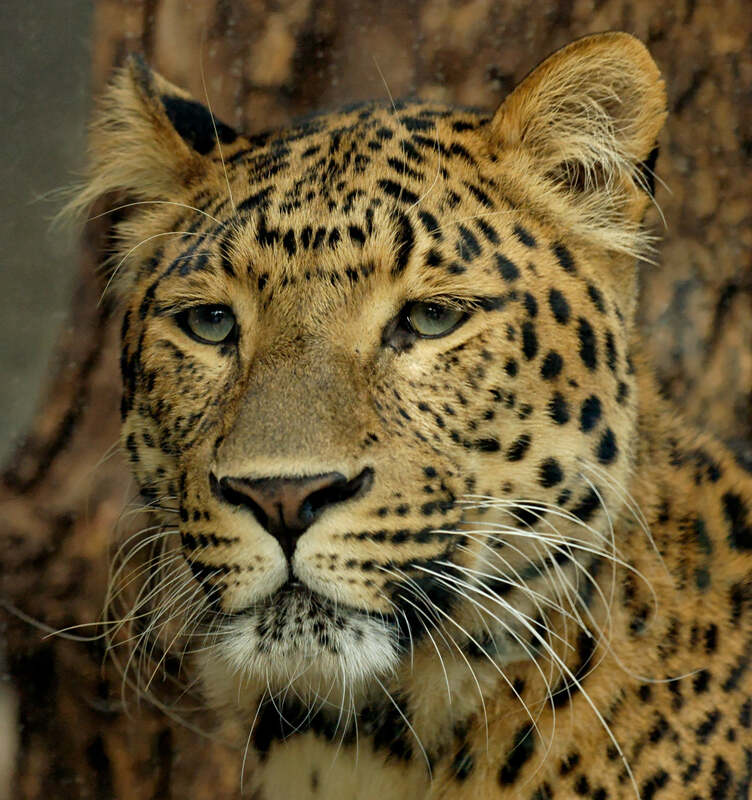 His underlying feline instincts – the last traces of the Leopard-spirit that had been summarily evicted from his body so long ago – were quite helpful on his initial missions, as they had been during his search for vengeance. Level Five Warrior-Adept of the Obsidian Order. Mentor/Secret Master, Specialized/provides no XP bonus, but the instructors can teach a variety of advanced Witchcraft and Combat Techniques (6 CP). Their version of Witchcraft training will normally include two Pacts – Hunted (by the Crystal Seers) and Taboos (Must never reveal any secrets that have been entrusted to them, must never pay for research, and must not tolerate the use of major divination effects without protest). Cloaking , Specialized/only conceals the existence and nature of secrets entrusted to the character (3 CP). Three Leopard Template Levels. Since those included hit dice, they’ll work exactly like standard levels. Available Character Points: 72 (Level Two Eclipse Base) +10 (Disadvantages: Incompetent/Isolated Upbringing, -3 to Friendly Charisma-Based Skill Checks, Irreverent, and Compulsive/always keeps his word) +10 (Duties to the Obsidian Order, +2/Level) +10 (Restrictions; cannot learn Spellcasting or use Armor, +2/Level) +12 (L1 and L3 Bonus Feat) = 114. Basic Attributes: Str 22 (+6), Dex 26 (28) (+9), Con 20 (22) (+6), Int 14 (+2), Wis 12 (+1), Cha 11 (+0). Leopards do get some impressive physical attribute bonuses. Of course, they do need to make up for being unable to use most gear. Proficiencies: Natural Weapons Only (0 CP). Attacks of Opportunity: 10 (with Martial Art). Bite: +13/+13 (+2 BAB Race +9 Dex due to Finesse +2 Martial Arts, Personal Haste), 2d6+6 (1d6 Base, 1d6 Force, +6 Strength), Critical 20/x2. Whirlwind Attack, may opt to do 1d6+6 Stun. Claws: +8/+8 (+2 BAB Race +9 Dex due to Finesse, +2 Martial Arts, -5 Secondary Weapons), 1d3 (Base) + 1d6 (Force) +3 (Half Str Bonus), Critical 20/x2. Two bonus claw attacks when grappling or pouncing. Grapple: May start a grapple on a hit with a claw or bite without provoking an Attack of Opportunity. Crossbow Bolt: +11 (+2 BAB +9 Dex, only one shot due to being launched via cantrip – at least until he doubles up the cost to get the Rapid Casting modifier), 1d8 (Base), Critical 19-20/x2, Range Increment 80′ (three shots only at the moment – until he upgrades the uses per day to “unlimited”). That’s not bad – but it does rely almost exclusively on his Leopard Template Levels and a couple of Talents. He REALLY needs to buy some more saves, attack bonus, and combat enhancements. At the moment, unfortunately, there just aren’t enough points. Sylthis was originally built in PCGen using the Talent rules from The Practical Enchanter. Those give characters a level-based allotment of “Virtual Gold” to build innate powers with, ignoring item slots. They can spend additional Feats buying more virtual gold (at 10,000 GP per Feat) or pull off a few other tricks – but they can’t use normal magical items. In Eclipse, that’s Siddhisyoga, Specialized for Double Effect/The user cannot use normal magic items (6 CP). If you want even more talents, you can also buy Immunity to the normal XP cost of Innate Enchantments (Uncommon/Minor/Major, Specialized/The user cannot use normal magic items (1 CP) plus any amount of Innate Enchantment at half price, thanks to that same Specialization. That’s actually a fractionally better deal for raw power in the long run, since you get full value for your treasure rather than about 75% and get almost 12,000 GP per invested Feat equivalent rather than 10,000. On the other hand, that way you can’t spend your treasure on mundane things (such as animals, properties, hirelings, bribes, and wild parties) or give it to other characters to upset the treasure balance of the game. On the other hand, it does call for an initial investment of 6 CP which the Talent system does not – and CP are hard to come by in the first few levels. Ergo, Sylthis is going to be losing a few GP worth of Talents; he’ll be down to 8000 (From 8000 of his 9000 GP base for fifth level) + 12,000 (13 CP worth of Innate Enchantments, for 6 CP) = 20,000 from 26,750. That’ll cost about 3 CP to make up for later. On the other hand, he’ll come out ahead in a few levels – and he wasn’t using his entire talent allotment anyway. Of course, to scrape up those 13 CP, I had to squeeze for points elsewhere – most notably skimping on two of his hit dice. Fortunately, his high constitution modifier matters more than going from a 2d8 to 2d4. Thanks to the vagaries of the dice, that only cost him 5 HP anyway. Continuous Effects: All at (Spell Level One) x (Caster Level One) x 2000 GP (Unlimited-Use Use-Activated) x .7 (Personal-Only, where applicable). Attribute Enhancements: Con +2 (1400 GP) and Dex +2 (1400 GP). Immortal Vigor I: (+12 +2x Con Mod HP) (1400 GP). Iron Fist: +1d6 Force Damage to Unarmed Attacks with Rapid Casting (4000 GP). Mage Armor: (+4 Armor Bonus to AC) (1400 GP). Personal Haste: +30′ Move, +1 Attack at full BAB when making a full attack (2000 GP). External Spells: (Spell Level One) x (Caster Level One) x 2000 GP (Unlimited Use-Activated) x .6 (Once per day each) = 400 GP (or 200 GP for a Cantrip). With 5000 GP left, this comes to 9 first level spells (3600 GP) and seven cantrips (1400 GP). Cantrips: Launch Bolt x3, Detect Magic x2, Message, and Create Water. First Level Spells: Moment of Insight/Skills x2, Cure Light Wounds x2, Feather Fall, Obscuring Mist, Pass Without Trace, Color Spray, and Lesser Restoration. Fast Learner, Specialized in Skills for +2 SP/Level, currently +10 SP. Purchased at level one (as a leopard cub) with the 6 CP from his first Feat. Adept: Half cost on Hide, Listen, Martial Arts, and Move Silently (6 CP). Luck with +4 Bonus Uses, Specialized in Defensive Rolls (that’s usually saving throws) (6 CP). Celerity with Improved x4 (+50 Ground Movement) and Stunt Double, Corrupted/Only usable while carrying a light load or less and unarmored (16 CP). Fast Learner, Specialized in Skills (6 CP, +10 SP). Witchcraft III (18 CP). Basic Witchcraft Abilities: Healing, Hyloka, Shadowweave, The Adamant Will, The Hand of Shadows, Witchfire, and Witchsight, 23 Power, Save DC 13. Pacts: Hunted by the Crystal Seers (pays for Path of Darkness/The Umbral Form) and Taboos (Must never reveal any secret that has been entrusted to him, pay for research, or tolerate the use of major divination effects without protest, pays for Path of Fire/Leaping Fire). Reflex Training/Three bonus actions per day variant (6 CP). Living on his Nerves/Advanced Improved Augmented Bonus: May add Dex Mod to Int Mod for calculating skill points per level. (18 CP, acquired at L4, so currently +16 SP; this will pay large dividends in the future – starting next level – but it isn’t a benefit quite yet). Total Skill Points: 16 (Int) +16 (Fast Learner) +5 (5 CP) +16 (2x Dex Mod thanks to Augmented Bonus since L4) +6 (Purchased in Template) = 59. In Eclipse, you get to pick your “Class Skills”. His are Balance, Climb, Disable Device, Escape Artist, Hide, Jump, Knowledge/Local, Listen, Martial Arts, Move Silently, Open Lock, Search, Spot, Survival, and Tumble. For his Initial Languages he has Common, Undercommon, and Sylvan. Presumably he talked to a few such creatures in the woods while he was growing up. Classically, various styles of Kung Fu are loosely based on the instinctive combat skills of the beasts. In the case of Sylthis, he didn’t need much instruction… The Leopard Style focuses on fast, powerful, raking strikes, darting in and out until a crushing hold can be achieved and – for the original, animal, style – on pouncing and biting and ripping chunks out of opponents. Requires: Natural Weapons or Martial Arts of 1d4+, Dex 16+. Basic Abilities: Attack 3, Defenses 3, Power 2, Strike, and Synergy/Survival. Advanced and Master Techniques: Battlecry (Cat Scream) Combat Reflexes, Mind like Moon, and Whirlwind Attack. Occult Techniques: Inner Strength, Iron Skin, Light Foot, and Wrath. Known Techniques (9): Attack II, Strike, Combat Reflexes, Mind Like Moon, Whirlwind Attack, Inner Strength, Iron Skin, and Wrath (Positive Energy). A straw hat, with holes for his ears. A leather bracer, storing 12 crossbow bolts for use with the “launch” cantrip. An animal pack, containing: thieves’ tools, five chunks of meat, five cure light wounds potions and a delay poison potion (he can’t use these, but he can pour them into other people), four antitoxins, one bedroll, fifty feet of silk rope, a sigil of the obsidian order (made of obsidian), a silver holy symbol, a grooming kit, a full waterskin, about 50 GP in cash. Two-Point Relic: A Korvalian Bloodstone (normally worn on his collar). Provides Rite of Chi with +4 Bonus Uses. Further Advancement: Sylthis would like to get a little more Power, to upgrade his Talents (with more uses on some of his active spells, Magic Fang, Resistance, and Unseen Servant, Unlimited Use on Launch Bolt with Rapid Casting), to protect his personal enhancements from dispelling and antimagic, to buy more BAB (specialized in using his natural weapons), and to learn enough shapeshifting to pass for human. Fortune/Evasion, Block/Missile, more Reflex Actions and more Witchcraft (especially life-extension; now that his father is no longer slowing his aging, he’s going to need that before too much longer) would be nice as well. Beyond that? The fighter basics – Saves, Hit Dice, and combat enhancements – are all good. Campaign Use: Like many another specialist, Sylthis is very very good at what he does – which is race into melee range, pounce on opponents, bite and claw, and then run away before they get to do anything. As a sideline, he can get to people and give them minor assistance (or carry them out of danger) very quickly. Within his limitations, he’s quite formidable – as might be expected for a specialized and corrupted +3 ECL Template. His most obvious weaknesses are, of course, Damage Reduction (which drastically reduces the effectiveness of a creature relying on making several relatively weak attacks) and ranged combat, at which his abilities are fairly negligible. He can be quite an effective ally for a party, but is equally good at harassing one if they happen to be responsible for unleashing some horrible menace or some such. It’s worth noting that he does have to use Telekinesis to handle most things that call for hands. Fortunately, the Hand of Shadows witchcraft ability can perform “minor tricks” (get out a potion to pour into a friend, comb junk out of his hair, and so on) at no cost. He does need to pay to do things like pick locks however – although he can usually “Take 20” by doing so, simply by paying for accomplishing he equivalent of an hours worth of work. For a first try at making a sapient Leopard with the preliminary Eclipse and Practical Enchanter datasets, I originally looked for a way to apply “reincarnate” – but a web searching revealed that there apparently wasn’t one, so I settled for a workaround; boosting the basic mental stats enough to compensate for the reductions. This involved setting the race as “Leopard”, and taking three animal levels, rather than applying the relevant modifiers as a +3 ECL template. The process of creating a Template in PCGen is a bit more complicated than simply adding up the points in a species is in Eclipse anyway, and it was being designed to be equivalent. Since the base Leopard didn’t have any options for taking native languages, I created a “Sapient” template to make languages available to normally non-speaking creatures. That should probably change the type to “magical beast”, but I didn’t see an easy way to do that, and it wasn’t important as anything but a note. I attempted to use the Augmented Bonus sequence to add to skill points per level, but found that Augmented Bonus hasn’t been fully implemented yet in the test dataset. I tried creating another template to apply it, but didn’t see any easy way to not have it not apply from level one (since it hadn’t been purchased then given the choice of “Leopard” as a race). I applied a manual workaround by simply adding more skill points to spend in the Skills tab. That produced an error message about the character having too many skills, but that could simply be ignored. The Corrupted and Specialized modifiers cannot be fully implemented until a variable cost function is implemented. The current dataset workaround simply adds +3 CP (for Specialized) or +2 CP (for Corrupted) to the available character points which is fair enough – more points to spend versus equivalently lower costs is a wash – but it does require a little juggling to make sure that the math works out right. Still, since the vast majority of abilities cost 6 CP each, that works well enough. It would be nice to be able to apply the modifiers to groups of abilities, but that may be awkward to implement in d20 anyway. Bonus Uses didn’t offer the option for basing the number of bonus uses on a relevant attribute modifier, but that’s uncommon anyway – although it might come up later. Package Deals haven’t been implemented yet, although they probably will be soon. Specialized Luck and Bonus Uses (Defensive Checks Only, saves 6 CP). Corrupted on Celerity, +4 levels of Improved, and Stunt Double: Only while unarmored and lightly encumbered. Saves 8 CP. Corrupted on Evasive/Moving by Opponents. Saves 4 CP. A 12 CP Package Deal. A “free” 2 CP Relic (a.k.a “Kewl Loot!” or “look what we were issued!”). For a workaround it seemed to be easiest to take a +1 ECL Eclipse Template (+32 CP) with the “Buy Off ECL” modifier applied to reduce the cost to +0 ECL. That gave me the extra CP to cover all of that. For the relic, I had been intending to get some extra Power – but that sub-option wasn’t showing up under Mana. For that matter, neither were the “Natural Magic” options, given the warnings about duplicated names when the program was loading, it seemed likely that those were conflicting with the “Natural Magic” option under shapeshifting. Ergo, I substituted Rite of Chi with Bonus Uses, which accomplished the same thing – getting more daily Power to work with – just as well. There wasn’t yet a way to build Relics anyway, so I simply noted that function on a custom item. I couldn’t see how to get Martial Arts to apply to a particular set of weapons; it looked like the program simply applied one to whatever weapons you equipped. In this case that works fine, but I’m not sure what would happen when a character knows more than one martial art. Talents turned out to be a headache; I’d originally meant to add a “Phantom Hands” effect in Talents; unfortunately, I couldn’t figure out the formatting for adding a new talent on the fly and there isn’t a talent editor yet. That was unfortunate because I’d also wanted to add a modest variety of so-many-times-per-day use-activated spells. I’d just have to do those manually later on. Since I couldn’t add Phantom Hands, I added Witchcraft to gain access to The Hand of Shadows, put 18 CP into it, and took two pacts. The listing seems to be showing that the character qualifies for four advanced witchcraft abilities. I haven’t figured out why yet, but removing one pact removes only one of the extras – but removing one of the base witchcraft purchases didn’t seem to remove any. Overall, not at all bad for a preliminary dataset with a good many pending functions.